Temporarily out of stock. Order now and we'll deliver when available. Trim Size: 7.9" x 4.9"
Rich Habits provides a simple to use, easy to understand, step-by-step program that is concise and clear. Regardless of your age, education or income level, Rich Habits can help you learn the valuable secrets to financial success, possessed by only the wealthiest of individuals. Everyone seeks prosperity for themselves and their families. 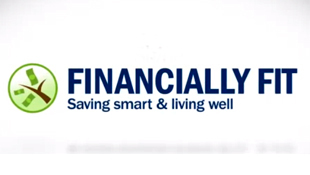 In tough economic times, individuals are struggling financially and desperately looking for help in achieving financial stability. The help you've been seeking is here... Rich Habits. Tom Corley understands the difference between being rich and poor: at age nine, his family went from being multi-millionaires to broke in just one night. For five years, Tom observed and documented the daily activities of 233 wealthy people and 128 people living in poverty. He discovered there is an immense difference between the habits of the wealthy and the poor. During his research he identified over 200 daily activities that separated the “haves” from the “have nots.” The culmination of his research can be found in his #1 bestselling book, Rich Habits: The Daily Success Habits of Wealthy Individuals (www.RichHabits.net). Tom is a CPA, CFP and holds a master’s degree in Taxation. He is President of Cerefice and Company, CPAs, a premier accounting firm in New Jersey. Tom has shared his insights on various national media outlets such as CBS Nightly News, USA Today, The Dave Ramsey Show, Yahoo Finance, Success Magazine, Inc. Magazine, Kiplingers, MSN Money, and many others. Now you can virtually guarantee that your children or grandchildren grow up happy and successful in life. Rich Kids helps adults become success-mentors, propelling kids to reach their fullest potential in life. You won't find these unique, groundbreaking strategies anywhere else. Rich Kids will open your eyes and transform ordinary grandparents, parents and educators into extraordinary mentors for the next generation. Change Your Habits Change Your Life shares the strategies and habits that helped 175 self-made millionaires transform their lives and amass enourmous wealth. You will also learn about those habits that hold you back in life from achieving success and happiness. By using the habit change strategies in this book, readers will aquire the three characteristics of success, setting them on a path that will alter their very lives for the better. The success habits I will share with you will enable you to focus, every day, on pursuing success. Each good habit you add to your life will have a cumulative effect on your life. These habits are an investment in your individual success. Getting control of your habits is empowering. It gives you a sense of control over your life. Your new habits will not only put you on the path to success, they will also put you on the path to happiness. Your life will never be the same. 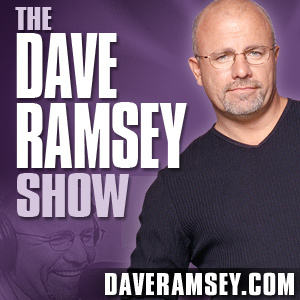 Be sure to check out Tom's interview with Dave Ramsey on July 19th, 2013. "Thank you, Thomas Christopher Corley for Rich Habits. I found this book extremely helpful. In no time flat I was able to see exactly how to increase my financial success. I have incorporated a few of the habits and have seen a big difference in the way that I think. MyBookOrders.com is not responsible for delays in shipping due to delays in printing or receipt of inventory. For questions about an order, email info@mybookorders.com for more assistance. You can track your book order via MyBookOrders. Safe Purchase Guarantee: All transactions and data are encrypted and secure. You will see HTTPS in your web browser URL or address bar. What this means is that the session uses SSL, which prevents third parties from accessing your data. If you are experiencing issues accessing author sites RichHabitsInstitute.com or RichHabits.net, contact the webmaster and systems administrator, Yomar Lopez. Copyrights ©2007-2019 All Rights Reserved by MyBookOrders.com.